Alabama marble is among the highest quality stone in the world. The state’s marble resources were first made famous by Italian sculptor Giuseppe Moretti, and stone from the quarries there was sculpted into a bust of Abraham Lincoln displayed in the U.S. Capitol building and used to construct the Lincoln Memorial, Washington Monument, and the U.S. Supreme Court building. But did you know that Gary Cooper once spoke about Alabama marble in Fountainhead? 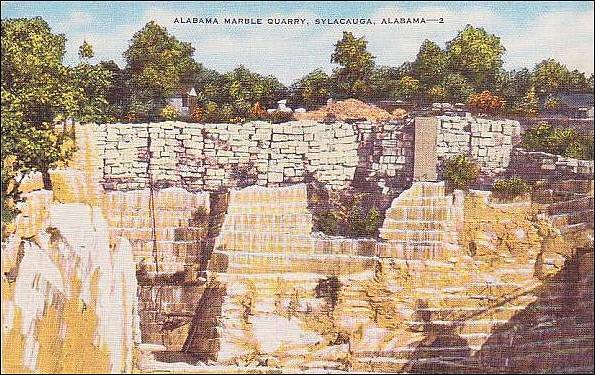 The first person to exploit Alabama’s marble resources was physician Edward Gantt, who in around 1814 spotted large deposits of marble while traveling through present-day Sylacauga with Gen. Andrew Jackson. 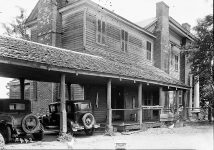 Gantt returned to the area in 1820 and bought a large amount of land with significant marble deposits. He was too busy with his medical practice, however, to make much use of them, although he kept the quarry until his death in 1887. Sylacauga hosts an annual Magic of Marble Festival starting around the second week of April bringing together a hand full of sculptors from across the U.S. and Canada to socialize and learn from special guest artists from Italy. The 2015 Marble Festival will be held April 7-18. 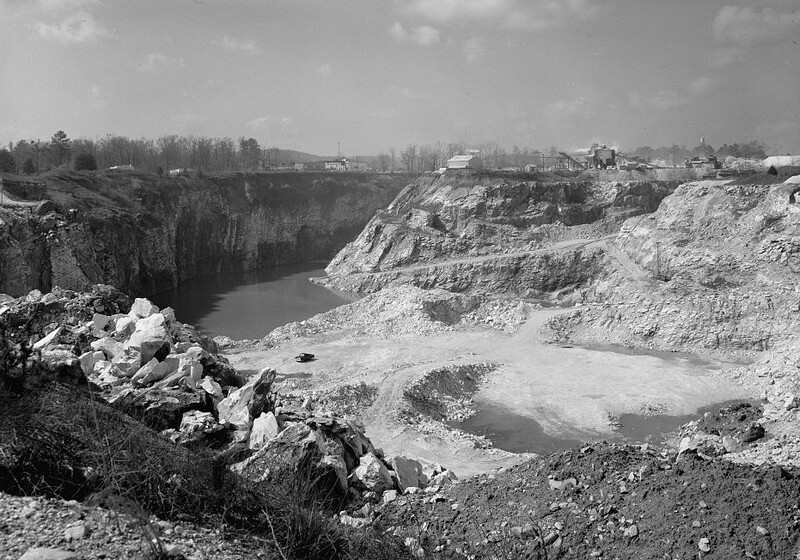 Gantt’s quarry (below) was worked before the Civil War, and produced a high quality marble. 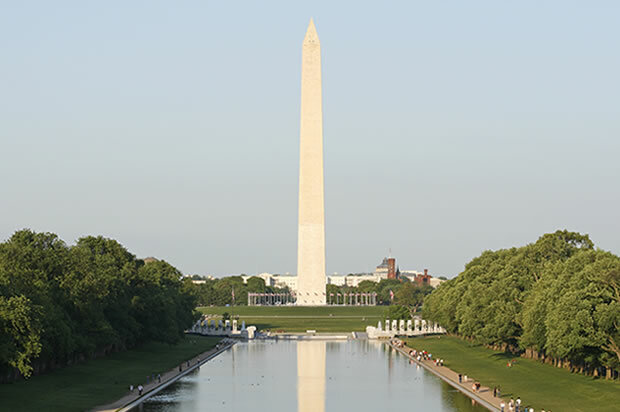 A stone from Gannt’s Quarry was presented by the Masons of Alabama to the Washington Monument Society in 1851 and was incorporated into the monument. Structural and dimensional stone, calcium, and materials for roofing and terrazzo floors are now produced at the Quarry (1966). 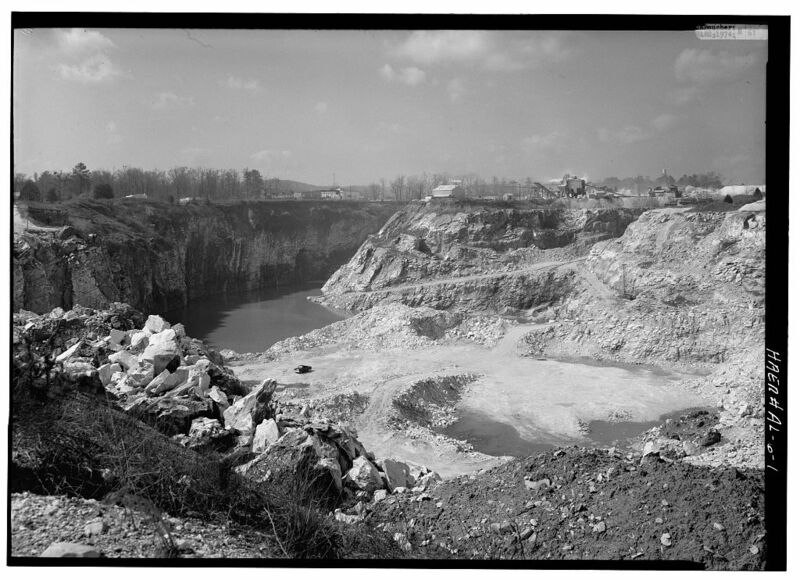 As with most active quarries, facilities at the site have been consistently modernized throughout the twentieth century. The first successful marble mining operation in Alabama had its beginning at a very early period of the State’s history. 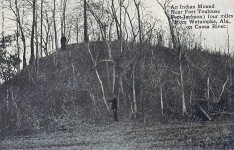 A quarry was opened near Sylacauga, in Talladega County, in the 1830’s and operated profitably for many years. Four brothers—Scotsmen—George Herd, David Herd, Alexander Herd, and Thomas Herd, developed the enterprise. 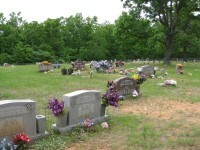 Their finished product consisted chiefly of tombstones, urns, statues, and others. The main deposits of true marbles in the State are found in the southeastern portion of the Coosa Valley region, in the more or less metamorphosed strata, although some are found in all the limestone and dolomite formations. The best, or most crystalline, are along the great Talladega thrust fault that divides the Coosa Valley from the crystalline strata. Marble of fair quality and considerable quantity exists in Bibb, Calhoun, Cherokee, Chilton, Coosa, Jefferson, and Shelby Counties, but the best and largest deposits are in Talladega County, most of them of white, bluish, and dark colors, which take a superior polish. The prevailing color is white, or of a creamy tint, particularly desirable for interior finishing and decoration. The product of the Talladega County quarries is said to have the fine uniform crystallization of statuary marble and to be unsurpassed in carving qualities. Alabama marble is well adapted to exterior use, being a very pure carbonate of lime, exceedingly strong and durable, but much of it is almost too fine for such use. Its texture, its lustre, its tinting make it eminently suitable for interior and decorative work. The following quarries are known to have been worked before the Civil War: Gantt’s and Herd’s, near Sylacauga; Nix’s near Sycamore; Bowie’s near Rendalia; and Taylor’s and McKenzie’s near Taylor’s Mill, east of Talladega. During 1914 [the latest available figures] three companies reported production of marble, two in Talladega and one in Coosa County. Moretti established a studio near Sylacauga and soon convinced investors to join him in developing a marble quarry. He made several attempts at quarrying, the most successful being the Harrah-Moretti Marble Company, with partner C. J. Harrah formed in the early 1920s. Continued sculpting commissions, however, kept Moretti too busy, and he was never able to capitalize upon his business opportunities. 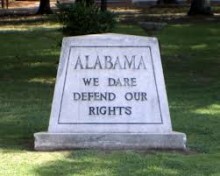 Alabama marble was designated the official state rock symbol in 1969. 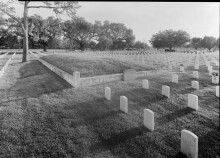 The major source of Alabama marble is in an area known as the “Sylacauga marble belt” in Talladega County. 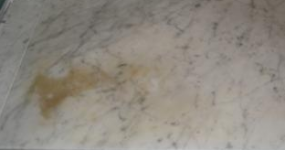 The marble from this area has been called the whitest marble in the world. Well known for it’s high-grade crystaline texture and beauty, Alabama marble has been used in buildings and monuments for over 160 years. Sylacauga is my home town. I grew up riding my bicycle in/around the quarries, many great memories of this area and have seen our marble im many famous places. Thanks for the article. Moretti once lived in Oldfield Uncle Joe Hickman worked for him..
That is so interesting! !!! Yep…this is about 2 miles from me. Sylacauga is world famous for its white marble. I believe the Magahey family used to own these mines. 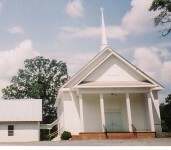 The brother Fred of Columbiana’s late Karl C Harrison, was married to one of the girls. Yet the Harbert center is italian marble.